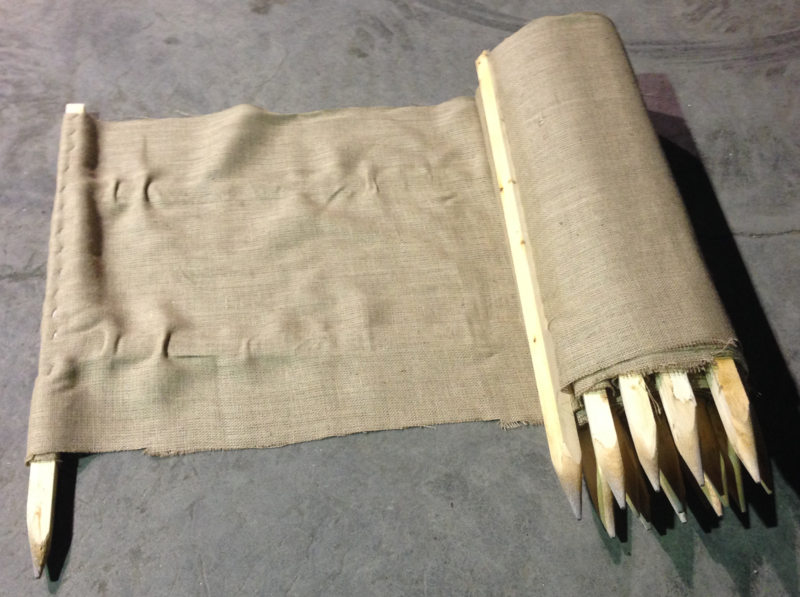 Silt fences are often temporary sediment control device used on construction sites, best used in combination with other erosion control products. Silt fences are widely used on construction sites due to their low cost and simple design to retain sediment in place where soil is being disturbed by construction processes. Typical fences consists of geotextile stretched between 2″ x 2″ wood stakes or metal T-posts. 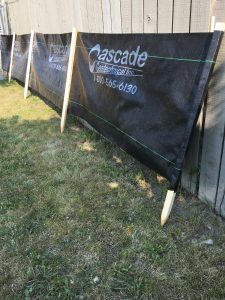 The stakes are installed on the downhill side of the fence, and the bottom edge of the fabric is trenched into the soil and back filled on the uphill side. 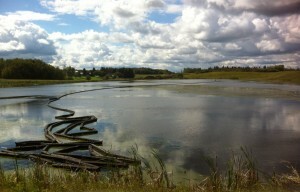 The design/placement of the silt fence should create a pooling of runoff, which then allows sedimentation to occur. The fence is not designed to concentrate or channel storm water. 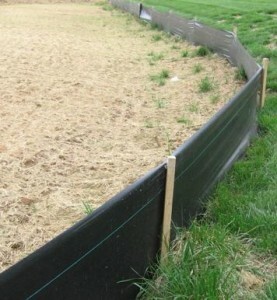 The fence is installed on a site before soil disturbance begins, and is placed down-slope from the disturbance area. Custom logo silt fence available with minimum order. This silt fence consists of a tight woven natural jute textile stretched between 2″ x 2″ wood stakes. 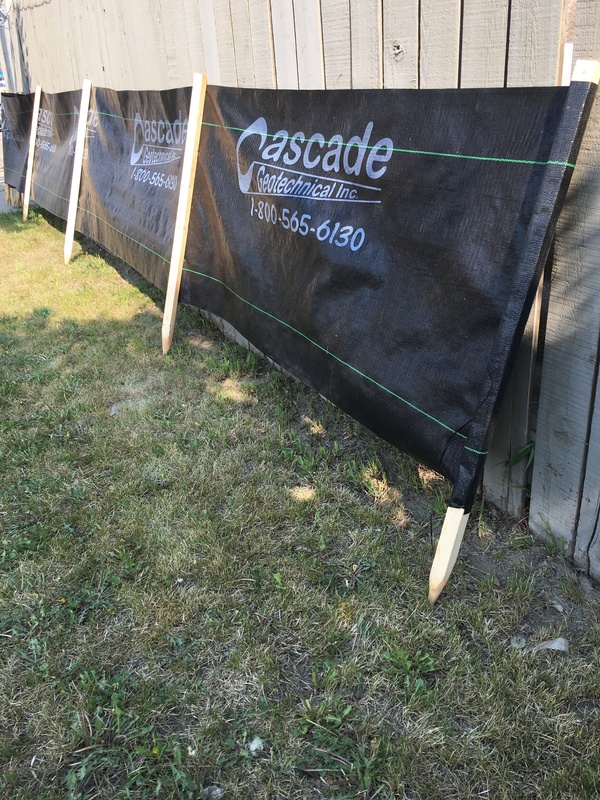 The stakes are installed on the downhill side of the fence, and the bottom edge of the fabric is trenched into the soil and back filled on the uphill side. Like regular silt fence, the design/placement of the silt fence should create a pooling of runoff, which then allows sedimentation to occur. The fence is not designed to concentrate or channel storm water. The fence is installed on a site before soil disturbance begins, and is placed down-slope from the disturbance area. This silt fence is designed to be left in place and will biodegrade over time. Turbidity curtains are designed to control the settling of solids (silt) suspended in water by providing a controlled area of containment. This condition of suspension (turbidity) is usually created by disrupting natural conditions through shoreline construction or dredging in a marine environment. In essence, a turbidity curtain is a floating silt fence. The containment of settle-able solids is desirable to reduce the impact area of these solids.